The final add-on is probably the most exciting leap in the game, and the first true successor to LucasArt’s classic Secret Weapons of the Luftwaffe. 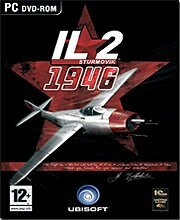 IL-2 Sturmovik: 1946, the actual title to this add-on, centers on an alternate universe where the Germans were successful in repulsing the western Allied assault at Normandy and the plot to kill Hitler actually succeeds. Britain and the US enter into a cease fire with the new government (Himmler is removed as well) while the Soviets continue the fight. Eventually the redeployed German Forces were able to repulse Soviet forces and force the Soviet government to negotiate for an uneasy peace. During that time both forces engage in an arms race knowing that the peace will someday soon be broken. Meanwhile the US and British forces take care of the Japanese and control Korea and Manchuria. 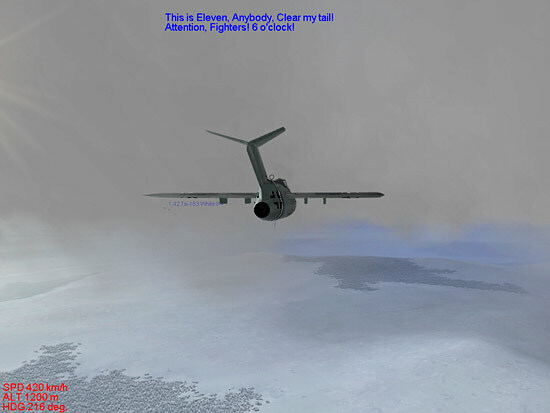 The new aircraft in the game range from the realistic and actually fielded to the fanciful and unbelievable. 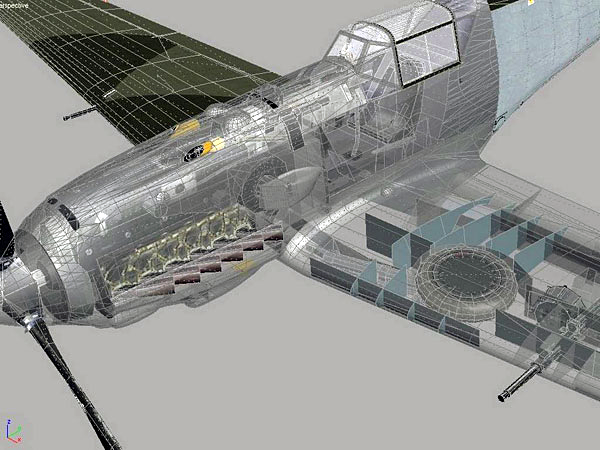 The MiG 9, Arado 234 and Ta152, and He 162 actually flew, some in the conflict. 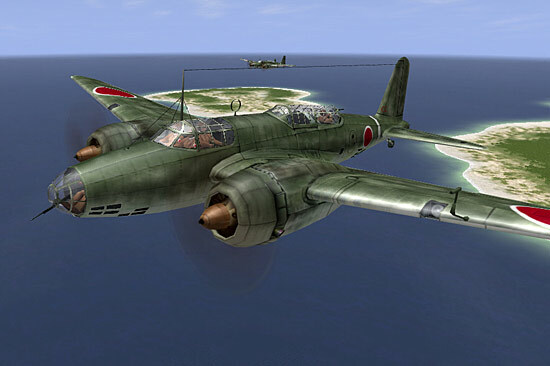 The Ta 183 came very close to reality and there were versions of the He 162 and Me 262 that were very plausible. Some, like the Heinkel HeL-113B are fanciful aircraft, planes that probably would never have been produced, but are interesting to look at and fun to fly in a free-wheeling sort of way. Whether many, or any of these fanciful aircraft actually would have made it into production before 1946 is always subject to conjecture. It is highly unlikely many of these would have gotten off of the design table, especially the stranger designs. 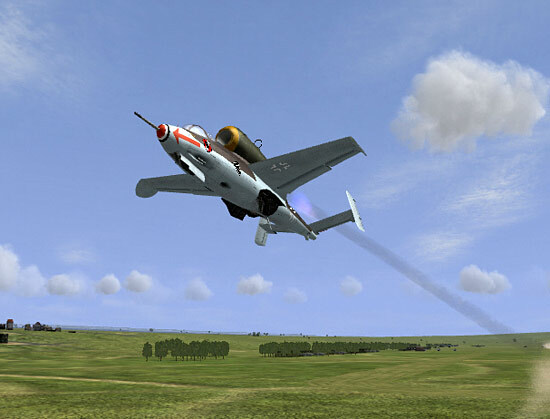 Many of the Soviet fighters like the MiG 9 relied on captured German technology to help in its creation (just like the F-86 owed a lot to the Ta183) so it is probably more likely that the aircraft you would see in real life would have been closer to some of the jet modifications of prop aircraft you see the Soviet pilots fly. Because of this, many of the flight models of the new aircraft are more guesses at what people think they would do rather than in depth recreations of these real aircraft. Since a majority of these aircraft never left the drawing boards it is hard to use any real data to develop flight models. So if you want to fly them, check your uber reality badge at the door, it won’t be any good here. It will be obvious that the game will be compared to “Secret Weapons of the Luftwaffe” and in some respects, it should be. If I have only one critique it is that again, there aren’t enough single missions that take advantage of these aircraft. The campaigns that come with the new game for the most part start out in traditional aircraft and then transition into the more fanciful aircraft. In addition, a majority of the new experimental planes aren’t in campaigns. I suspect a lot of the “Secret Weapon” themed campaigns will be cropping up in the next few months. Still, the campaigns and missions are fun. 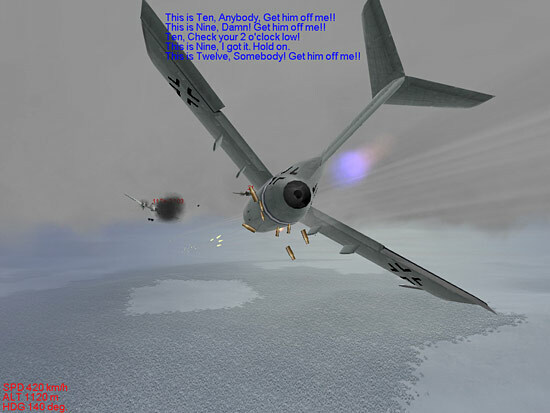 The Yak15s and MiG 9s against the Me262s and Ta 183s are the closest you will get to a more modern version of MiG Alley and it is a fast paced, fun ride. I haven’t tried the new version in Hyperfighter yet (still trying to figure out how to put the new game into Hyperfighter without screwing up my older install that I still use for squadron ops) but I imagine real time flying against others will be quite a blast.